Ivy is an Australian and American-owned hostel. As experienced backpackers ourselves, we strive to incorporate the characteristics that we find so important in hostels . Here you will find a chill yet sociable environment in a converted mansion with all of the creature comforts of home. Looking for an amazing included breakfast? You’ll find it here. TV room with Netflix? Yep. Bar? Yep. We’re not a party hostel, but you can find good times, forge new friendships in the bar or in one of our common areas, and then bank some solid sleep once the party is over. If you are like many of our guests, you will find yourself becoming part of the Ivy family and extending your stay with us! – TV room with cable AND Netflix, with what is likely the most comfortable couch in Medellin (affectionately named “Harvey”). Just try to pry yourself up once you get settled in! What “don’ts” will you not find at Ivy (that we’ve experienced elsewhere)? Blaring music/sleep deprivation until 3 am, annoying “nickle and dime” charges to print boarding passes, rude staff, list of 200 strict rules to follow (you are adults, afterall), having to make up your own bed in the dark when you arrive at midnight (we do that for you before you arrive), cramped bathroom stalls requiring pretzel-twisting yoga maneuvers to pull up your drawers, etc. 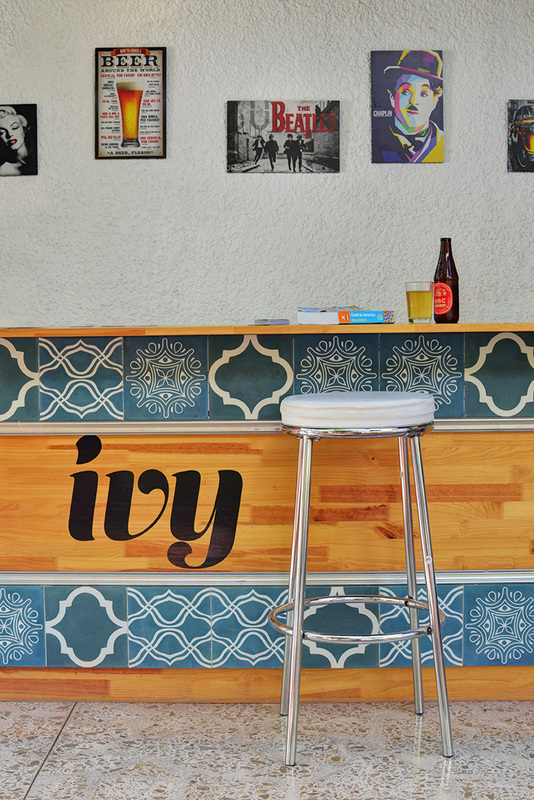 Ivy Hostel is located in a safe, leafy suburb outside of the hectic party district, but with convenient access to everything the city has to offer. This is why we can offer you a great nights sleep, while the party district is only a 5-minute cab ride and the price of a late night slice of pizza away. Ivy offers excellent access to Medellin’s metro system; only a 5-10 minute (and relatively flat) walk to the nearby Aguacatala station will propel you throughout the city to many of the tourist hot spots and local neighborhoods. We’re a 5-minute walk to 2 major grocery stores (one of which is open 24-hours) and 2 major shopping malls, and a 10-minute walk to the EAFIT University language center – the largest in the city (offering 2- and 4-week programs). Additionally, we have convenient access to the growing yet still authentically Colombian sector of Envigado either by foot, taxi, or bus. And if you happen to stay with us over the weekend, don’t forget to take advantage of a “ciclovía,” in which the south-bound lanes of the beautiful Avenida Poblado (located almost next to the hostel) are blocked off to traffic and filled with walkers, joggers, bikers, and the occasional rollerblader. This occurs on most Sundays and “puentes” (one of the numerous Colombian holidays that fall on a Monday).